Rhett Wilkinson, described by a rival community newspaper as a “big-city cousin,” has written for national online publications like The Inquisitr, Patch, Thought Catalog and The Good Men Project. His work has also appeared in USA Today, ESPN, Pew, Bleacher Report, the Billings Gazette, the Casper Star-Tribune and more than two dozen other publications. That includes seven newspapers in the west, including four of the five largest newspapers in Utah (he has covered the NBA and Pac-12 football); media outlets he owns in Beyond Tinsel, Beehive Blunders, and The Seer Stone; and a student magazine he co-founded in college. He has also done journalism on platforms like blockchains and top-ranking sites like steemit and HubPages. Rhett has been awarded for his work 12 times by the Society of Professional Journalists and Religion Newswriters Association over just four years of applying, as part of a six-year journalism career. His work has also been seen several times in the Gillette News Record, Wyoming Tribune-Eagle and Wyoming Business Report. Rhett worked for the national non-profit Project Vote Smart, which provides non-partisan information to the public about candidates. 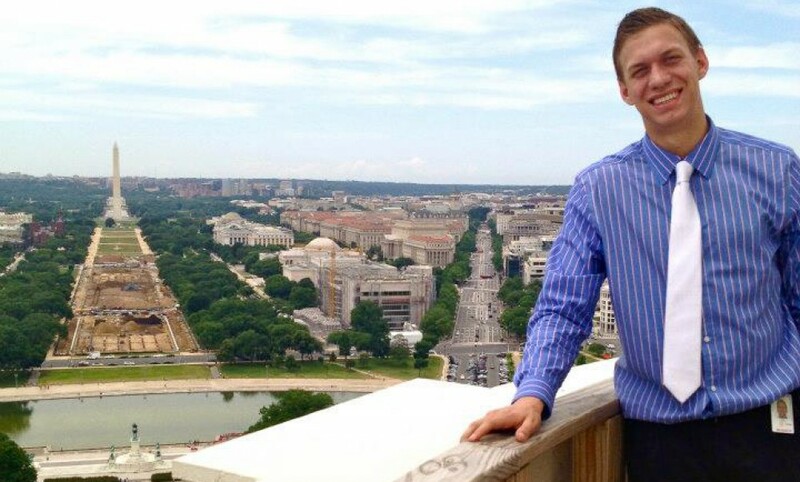 He interned in Washington, D.C. He was a pro se attorney not just regarding custody of his children, where he has met all requirements. He has also filed four lawsuits that are all pending, or that he has won. Also, Rhett was a screenwriter and held other roles for “Before Your Time,” a theatrical film. Rhett’s coverage of Green River, Wyoming, drew ire only of the governments in the town. Then the school board passed a policy that the Wyoming Press Association attorney called a “far cry” from the Wyoming Public Records Act. That the ire exclusively lied with those governments — and that folks advocated for him to management — makes him feel like he did his job as he should. He has reported stories like what town halls in the wake of the 2016 presidential election said about Utah politicians, a revelation of details about transhumanists; that Rep. Mia Love used campaign funds for out-of-state fundraising at Disney World; President Donald Trump rejecting alternative media in Utah after embracing it elsewhere; and a Kaysville, Utah videographer getting a film onto the big screen. And in recent months, that Love still owed $372,468, as required by the Federal Election Commission. None of the Utah media reported this. Another, about Illinois elected official Alyssia Benford cutting a check for an organization for which she does its books, which opposes state law. For the story, Rhett got documentation acquired via Freedom of Information Act request. Even though he lives in across the country from Illinois, Rhett reported this story for free, while paid Illinois media didn’t cover it at all, even though he pitched it to them. Utah’s business outlook in the five fastest-growing and most-shrinking cities in the state. It was at least highlighted by the Deseret News president in a weekly email. Rhett studied city ordinance and state statute to realize discrepancies. It was notable that five legal entities, including the Wyoming Attorney General’s Office, did not return his request for comment. Does Wyoming, as a state that perhaps embraces drinking much more than other states, overlook liquor law, including when it doesn’t line up with state law? It was startling for Rhett to personally study Federal Election Commission documentation and come to these realities. It was awarded this year by the Society of Professional Journalists. This is the second part to the part two titled “There’s a missing report on Rep. Mia Love’s expenditure disclosures.” Rhett also had to format the story on the back end. Part I was awarded by the Society of Professional Journalists. A whistleblower in Illinois reached out to me, and Rhett lives in Utah, about this issue. Rhett confirmed that the documents he sent we were obtained through Freedom of Information Act requests. Rhett is proud that he got the story published after Illinois media completely neglected it, as the whistleblower, Jason Cann, offered they would. Rhett was on the other end of the phone when talking with UTA about them forgoing a basic business strategy. This was the first of many contemporary issues reported over the next five years, leading to reform of the agency. This was featured on KSL-TV, the most-watched television station in Utah at the time. A rural newspaper wouldn’t run it. Tragically, perhaps, as it’s because of the economic development director’s initial statement that the pertinent company had not built the facility carried law-breaking implications. Rhett wrote this for Patch, a national outlet. Rhett followed up on this story while visiting Green River High School (Wyo.) for another story. He learned that school administrators had brought in police regarding two females who were wearing attire that showed their shoulders. They tried to say that the girls violated a dress code, though there was not such one. The body of Samantha Hardin, one of the girls, was otherwise completely covered. A disclaimer: the story has a paywall. Covering a debate at Green River High School (Wyo. ), Rhett met Samantha Hardin again. She was one of two girls who spoke in a Sweetwater County School District No. 2 board of trustees meeting against violating dress code for just showing her shoulders — and there wasn’t such a code. Rhett made sure to talk upon coming across her again, where she opened up about what GRHS Principal Darren Howard told her when meeting with her. He said “it’s in the eye of the beholder,” Hardin said. Rhett also learned at this point that at least four female GRHS students, not two, were confronted in mid-October of last year by administrators over dress that they don’t have a policy against. This story prompted a lengthy letter to the editor. Covering Sweetwater County School District No. 2, and in talking with local swimming coach Randy Walker for a story about a polar bear plunge, Rhett learned that Randy Walker had built a youth swimming program that had taken off — and even before that was possible, he organized a grassroots effort to promote a bond being passed for it. Consider also that Walker did this in a drug-infested area that lacks activities for youth. Rhett also made multiple calls to a supporting source to get statistics for this youth sports feature. And, of course, he talked with Walker, speaking with him on the phone and in person, taking the time to visit one of the program sessions, where Rhett took the photos. Rhett researched the behavior of each member of Utah’s congressional delegation after the 2016 election regarding town halls. Rhett also researched and found relevant polls on the issue. The Society of Professional Journalists recognized this story this year as one of the best in the Rocky Mountain region. Rhett thought that a comparison of the memos in Robert Mueller’s investigation deserved more attention. He also had to select a photo that was a good fit and format the story on the back end. He wrote the story for The Inquisitr, a national publication. Rhett conducted a conference call with the entire board of the Mormon Transhumanist Association and attended several of their meetings. This was awarded by the Society of Professional Journalists this year as one of the best stories in the Rocky Mountain region. After writing several stories that were honest about the behavior of the Sweetwater County School District No. 2 board of trustees, a teacher provided a flier showing that District Superintendent Donna Little-Kaumo and the board already planned to vote a certain way given that they were already circulating fliers to district employees with information about the direction they were taking. In being in the Billings Gazette, the story was picked up by a newspaper in a different state. The story was also picked up by the Casper Star-Tribune (click here) and was initially published in the Rocket-Miner (click here, and there’s a paywall). This original reporting was important because Mormons in Mormon culture have almost religiously held a contempt for former President Barack Obama. This story showed that a top Mormon leader was becoming friends with the former president. Rhett had the story because he showed up to the event, where no other media were. He also had to select a photo that was a good fit and format the story on the back end. Rhett wrote the story for The Inquisitr, a national publication. As has resulted in other stories, my body felt like it was one with nature after seeing a sign at a store in Fillmore, Utah, saying “CBD oil SOLD HERE!” And the store was in the shadow of a museum that in all essence, promotes Mormonism. Rhett also took the photos. This story was too much for a local newspaper in Trump country, so Rhett felt validated when not only Silicon Slopes picked it up, but essentially the same story with just one source and one data point added was seen the following Sunday on the front page of The Salt Lake Tribune. Rhett enterprised digitally on a story about The Church of Jesus Christ of Latter-day Saints ending a program that was one of its icons. He did so by combining tweets on the issue with a rewrite of another story. Besides being the author of this story, an in-depth, Rhett also had to select a photo that was a good fit and format the story on the back end. He wrote the story for The Inquisitr, a national publication. Rhett saw just a note in a 2018 Sunstone Symposium booklet that Nelson and Lacey Whiting were excommunicated from the Mormon church for their book. He proceeded to find their contact information, reach out, set up an interview, travel and conduct the interview. This story suggested the ideology of some in a religion that stresses as many births as possible, and on a culture teaching to maximize influence — even biologically, as it turns out. Because leadership in the LDS church is so key to adherents, it is not trivial that Gerald Mortimer was a church leader. Rhett also had to select a photo that was a good fit and format the story on the back end. He wrote the story for The Inquisitr, a national publication. Rhett posted a story in a Facebook group and Nancy Valdez made a remark as part of her comment on it that made me think that she had a story (or two) to share. He was then proactive in reaching out to her and asking for it. Rhett then asked follow-up questions. Rhett showed how across the country, AT&T and other cell phone providers had done a “coordinated campaign” to try to get cell towers into municipalities, and that that relatively discreet wave was coming to Green River, Wyo. This piece was also picked up by another newspaper after being published elsewhere. The key here was capturing dialogue held during a Green River city council meeting. Click here for the story as initially published in the Rocket-Miner (there’s a paywall). Rhett sought out research and talked not only with students at Utah State University, but also with academics as well. One source via a podcast was John Dehlin, whose Mormon Stories podcast had not yet gained relative popularity, especially to the point where the Mormon church felt threatened by it. Rhett was glad to be able to find him as a credible source before the masses did. Since the Green River (Wyo.) city council had built a waste facility but had not voted yet, Rhett thought he would call the numbers for a landfill it appeared to be replacing and see if they were working. He found three. Two didn’t work, and the third went to a secretary who said that they built the facility for the very purpose of replacing the landfill. The problem is that the council hadn’t voted to do that yet, so the local government’s act of privatization here was very under the table. Rhett also went to portables in the middle of the landfill in the winter and knocked on the door of them to find employees to speak to the issue. Rhett not just attended the 2018 Sunstone Symposium, but researched panels to attend for bold questions. He also did the formatting and chose the photo on the back end. Rhett again went to the landfill where the employees were getting replaced to ask their thoughts about losing their jobs. Rhett wanted to report a behavior having to do with a person’s church membership account after learning about it. Rhett researched panels at the 2018 Sunstone Symposium to find this talk and then paid close attention during it to learn that information about William Bickerton was previously unknown. Rhett revealed the influence of the blue wave of candidates in this original story even in Utah. He reached out to eight other candidates beyond the ones who returned my request for comment and researched information from the Utah Attorney General’s Office. Rhett also had to select a photo that was a good fit and format the story on the back end. He wrote the story for The Inquisitr, a national publication. Rhett is glad to say that in independently gathering information, driving 45 minutes round-trip and writing a story, he beat the Sweetwater County sheriff’s office to their press release. Rhett traveled to a location he researched online as my best estimate as to where the man, Stephen Taranovich, was living. There, Stan Masters, who is family of the woman who died, told Rhett details that were entirely unique to me. Rhett recorded them in the dark, in near-freezing temperatures. Rhett caught Derek Kitchen in downtown Salt Lake City after a Utah legislative debate. Later, a related profile was in NBC. Rhett did enterprising on an issue in Utah following the shooting at the 2017 Congressional Baseball Game using statements from Rep. Mia Love, former Rep. Gabrielle Giffords, and the grassroots advocacy group Utah’s CD4 Coalition. He wrote this for Patch, a national outlet. Having covered Wyoming Sen. John Barrasso’s field staff position remaining open for a relatively long period of time, Rhett wondered about the relationship of that to alt-right leader Steve Bannon recruiting candidates to challenge Barrasso. That resulted in a story of a nice tie between national issues and state affairs. Many religious groups were found to support the state of Utah using taxes being paid due to the Affordable Care Act to expand the government-sponsored insurance program. The most influential religion in the state, and most influential institution, was not. This story was awarded by the Religion Newswriters Association. Once Rhett heard about the deed, he wanted to report on it. Rhett drove 40 minutes one way to the schools to talk with the principals there, getting exclusive information, besides details particularly from principals that were not seen anywhere else. He was thus able to report on just how close the schools were to peril. He also took the photo. Rhett was disturbed that Utah media was not covering that Rep. Mia Love (R-Utah) still owed $372K because she unsuitably raised it, according to Federal Election Commission lawyers. He independently studied FEC documentation to learn this. Rhett researched remarks being made by Salt Lake Tribune staffers after 34 of 90 reporters were laid off, found a function in Salt Lake City about the first responders-PTSD issue and then reported on it. Making several calls to get this story right, Rhett learned that the issue became one of government operations as much as the threat. This school shooting threat was separate from the one regarding Fillmore schools, though it happened in the same county. After traveling out-of-state for the tech summit and Mitt Romney’s hinted announcement that he was running for the U.S. Senate, Rhett found a theme after staying through the entire event. When President Donald Trump was in Utah’s capitol to cut back two national monuments in the state, Secret Service gave a runaround as Rhett sought press access after Capitol police sent me there. Then, an outright “no.” This behavior bucked a trend regarding Trump’s approach with the press. This story was awarded by the Society of Professional Journalists. News about James getting involved with filmmaking made my body once again feel one with nature to write this story. This in-depth published in Jan. 2012 was recognized by the Society of Professional Journalists as among the best in-depth pieces in the U.S. Region 9. Much was made in the media in 2011 and 2012 about the “Mormon Moment,” and even if others were not buying it, at least Mormonism gained more public and media attention than ever before. One aspect Rhett didn’t find often covered, however, was the academic branch of the faith: how is the growth and notoriety of the LDS church manifest in higher education? The family of Caleb Lane was pointing out danger in the Provo intersection in general, so Rhett made sure to call family friend Andrea Kallas. Rhett thought it would be a good idea to go out in the field with a biologist. He was glad for the story that resulted. It was picked up by the Wyoming Business Report and is in its environment section. Click here for the story in the Rocket-Miner (there is a paywall). Rhett reported on this information that he learned when he was an intern. A rural Utah newspaper wasn’t interested the results of my enterprising following a Utah Republican Party debate for Utah’s 3rd congressional district, where Rhett asked questions unique to each candidate. So he took the initiative to find placement elsewhere. He wrote this for Patch, a national outlet. Victims of bullying had not gotten a voice by rural media equal to that of stakeholders in power, so Rhett made sure to write this story and place it. Rhett had a feeling that Utah State University students did not like the new logo Nike created for the school. So he crowdsourced if someone would want to write about it. He not only got a volunteer, but seven folks commented on the story, which I think is pretty good for a student magazine. Rhett also edited it. After Rhett reported on a number of issues in Sweetwater County School District No. 2, the district, led by Superintendent Donna Little-Kaumo, passed a policy regarding public records that Wyoming Press Association attorney Bruce Moats blasted. Rhett thought it would be good to look at a historic men’s college basketball team by taking a look at their leaders, especially since they had a notable one who gained notoriety in Sister Jean, the chaplain for the Ramblers. Rhett also had to select a photo for this original story that was a good fit. He also had to format the story on the back end. He wrote the story for The Inquisitr, a national publication. Rhett didn’t have an issue with the Tribune’s policy critiques — he did not have a problem with them endorsing Mitt Romney, for instance. And Tribune political news columnist Robert Gehrke said he disagreed with the decision and he co-wrote a book about Love. Tribune government/politics editor Dan Harrie said that he wishes that the newspaper would not do endorsements. Tribune managing editor Sheila McCann offered a piece from the Richmond Times-Dispatch in Virginia announcing that the newspaper was ceasing doing endorsements. It was also interesting that Tribune editor Jennifer Napier-Pearce did not know details about the Love finance issue, further insightful that Harrie, who is close to the issue, got a fact wrong and that Gehrke said a key item about his book regarding selling it that was incorrect. After noticing this, my body again became part of nature and Rhett had to do a story, contacting the campaign for comment. He wrote this for Patch, a national outlet. Minutes Rhett obtained showed reasons for a rift between Sweetwater County School District No. 2 and the Green River Education Association (in Wyoming) that went back two decades. There appeared to be more to the mention in a county commission meeting that the county sheriff got an award. Rhett’s digging revealed that he was brought a bring a new program for DUI discipline to Wyoming, just the 13th state in the country to have it overall. Rhett thought something interesting would come of the function. He wasn’t wrong. The church’s public relations arm in Washington gave a runaround before Rhett got in touch with someone in that office. He also had to format the story on the back end. A press release from the good-government group Alliance for a Better Utah with research results on all Utah lawmakers, with grades, was interesting. But for a story, Rhett knew he needed to find the lowest grades and report on that — the standout from the research. Rhett also did the formatting and chose the photo on the back end. This original reporting was important because it was important to report for Utah, where religious adherents are so homogenous on the thought process of academics who also prescribe to Mormonism. Rhett had the story because he showed up to the event, where no other media were. He also had to select a photo that was a good fit and format the story on the back end. Rhett wrote the story for The Inquisitr, a national publication. Much was made in the media in 2011-12 about the “Mormon Moment,” and even if others were not buying it, at least Mormonism gained more public and media attention than ever before. One aspect Rhett didn’t find often covered, however, was the academic branch of the faith: how is the growth and notoriety of the LDS Church manifest in higher education? The piece was recognized by the Society of Professional Journalists as among the best in-depth pieces in the U.S. Region 9. Minutes Rhett obtained showed possible reasons for why teachers had this fear from a Sweetwater County district — particularly its superintendent. Because the administration of Sweetwater County (Wyoming) School District No. 2 took minutes and another reason, they may have violated state law regarding open records, Wyoming Press Association Attorney Bruce Moats told me after Rhett thought to reach out to him. Rhett got creative and did a roundup up issues that unfolded in the fall of 2017 in the Beehive State. BYU Center for the Study of Elections and Democracy Director Quin Monson was candid in his thoughts and in defending the poll. Utah Senate President Wayne Niederhauser also gave an insight, previously unreported, as to why Lee would be fine despite a reform to Utah’s caucus-convention system. (That is widely considered to be an effort to help moderates win.) The Utah Democratic Party also offered some interesting nuggets into its role in the rally (or lack thereof). Rhett thought to reach out to each of these sources. He also took the photo. Rhett learned this from party members and did aggregating just to support the story he thought of. He also did formatting and chose the photo on the back end. It had been one year since the Topaz Museum opened in central Utah to much publicity. So Rhett thought he would check on how the first year went, including attendance. Museum Director Jane Beckwith, who developed the museum over decades, had good news. Rhett did a piece on enrollment in Sweetwater County School District No. 2 in Wyoming, studying data to be able to find that attendance from kindergarten through eighth grade dropped severly from the prior five years. Rhett was told about “free TV,” and though anything along those lines would have been an advertisement, it turned out, he did learn from Millard County Television Technician Dee Hollingshead that he was making numerals for television channels lower because the Federal Communications Commission, as Hollingshead said, “sold off” channels 38 to 51 locally. Rhett thought that it was worth reporting that a legitimate third party in Utah was emerging. He attended the party’s first official procedural meeting. The key was following what Millard County Auditor Bonnie Gehre was telling the Millard County Commission, in answers to the commissioner’s questions, in one of their Millard County meetings. Rhett found out that a blood drive in a Wyoming county was the best in the state. He was acutely attuned to an announcement at a high school basketball game. Mormonism and the Republican Party have at least been considered as synonymous, and so Rhett thought it would be interesting to reach out to the LDS Democrats caucus to ask the question that is the headline. An uptick by Utah media of using the LDS Dems as a source shortly thereafter made me think that they realized that they should be tapping the resource that is that organization. Rhett also did the formatting and chose the photo on the back end. This included the revelation that folks, led by the first person to press charges against jailed Fundamentalist Latter-day Saint prophet Warren Jeffs, were establishing a democratic election process and teaching residents how to vote, with the charger, who wrote a book about leaving the community, moving back. The key was knowing the right people to call. Rhett was told to contact Millard County School District (Utah) Vice President Jeffrey Schena, and Rhett even interviewed the individual the main subject of the story, Member Gordon Rawlinson, told me to contact. Utah was pulsating with developments to a change in how a state or federal elected official gets on the ballot, so Rhett wanted to make sure that the minor changes were still covered, as they normally would have been news. Rhett obtained minutes to show that teachers from Sweetwater County School District No. 2 were measuring other teachers’ classrooms with tape measures, an occurrence some may find odd. Rhett obtained minutes that revealed that the teacher’s association in Green River, Wyo., sought out an agenda from Sweetwater County School District No. 2 Superintendent Donna Little-Kaumo and board of trustees members, but it was revealed only after items of disagreement had been discussed. As with many of these clips, Rhett was the only reporter contact the newspaper about this. Rhett went to a protest at LDS church headquarters against the behavior by Mormon clergy. He found quite the story from Carol Kirkham and others. Rhett was tipped about the Great Basin National Heritage Area getting a grant from the state of Utah, one of 49 national heritage areas overseen by the National Park Service, and that it promised good things. Turns out, that was the enabling of the biggest partnership ever been the area and Millard County. A believer in Snuffer’s religion wanted to give his own take on Snuffer after Rhett wrote about meeting the man many consider a present-day prophet. While his own sentiments were good for a meeting at Cafe Rio and nothing more, his telling me that a new religion has started was definitely a story. Rhett thought it would be interesting to talk with a woman who had become the leading progressive Mormon blogger at the time about. He drove to Provo from Logan for free. The story was awarded by the Society of Professional Journalists. Rhett went to a committee hearing on Utah’s capitol hill to learn about the results on a water strategy by Utah lawmakers and community leaders and advocates. With the strategy being a half-century in the making, they were expected to make a decision. Instead, they delayed, leaving Utah without a solution to a basic necessity of life only two-and-a-half weeks before the deadline. Rhett wrote this for Patch, a national outlet. Rhett traveled to the house where the attack from the bobcat occurred to talk with the family whose dogs were especially in danger. He got a replay from the mother and son, which he was glad for. He also took photos of the husky’s wounds in his eye and paw. Rhett also reached out to wildlife officials for scientific perspective to add to the anecdotes particularly from the son. Rhett drove an hour-and-a-half to the Utah-Nevada border, at a national park featured by The New York Times for a related item for which he was there, to find this story. Rhett also took the photo. The scientific organization also featured its story on their website. Rhett thought it would be a good idea to attend a southwestern Wyoming Rotary meeting since legislators would be talking there. He thought that an informal event like that would yield less-canned comments from the politicians. That may have proved to be the case. Rhett thought it would be a nice report of Kevin Hines’ presentation on learning from his suicide attempt, but then he also learned that the Episcopal Diocese of Wyoming was putting money to suicide prevention and took the opportunity to use data to show the suicide epidemic in southwest Wyoming. Rhett made sure to call each of the businesses that had been burglarized, and Embassy Tavern owner Tina Semon in Wyoming was not pleased with the police regarding the thefts. Having been a scout player on the women’s basketball team (so Rhett was a Div. I player), Rhett learned about former Utah State player Devyn Christensen’s commitment to both Mormonism and basketball. The story reveals that coaches considered all-time USU leading scorer to be qualified for the WNBA. But her faith was making her think otherwise, Rhett learned. Rhett is responsible for breaking the leaked plot comprehensively of the sequel film of the new “Star Wars” trilogy. He pulled an all-nighter scouring various sources online for the information, including The Last Jedi Visual Dictionary, reddit, Curtis Robinson and RFP user The Pawn. Rhett scoured the internet to be able to leak the plot points of the sequel to the fifth-highest grossing film of all-time as of June 20, 2018, mapping it out in article form. Rhett scoured the internet to be able to leak the plot points of the newest installment of perhaps the most influential film franchise of all time, mapping it out in article form. After Florida Gulf Coast made perhaps the most shocking upset in NCAA Tournament history at that time, Rhett thought it would be interesting to compare them to the team readers are fans of by asking a common opponent about the squads. Once Rhett learned that two legends on the Utah State basketball hardwood played on the same team across the world, he had to do a story. Rhett found Jaycee Carroll through contacting his wife on Facebook and father through the White Pages. Rhett then asked Carroll to put me in touch with Spencer Nelson, the teammate. Rhett talked with them through Skype since they lived in Europe. This story was awarded by the Society of Profeesional Journalists. A source unique to Rhett let him know details none in the Utah media had learned concerning the departure of former Utah State University football coach Gary Andersen for the University of Wisconsin. This story won first place for online sports reporting, Region 9 Society of Professional Journalists. About two weeks after this story about a record number of male cheerleaders at Green River High School published, a billboard on male cheerleaders went up in Green River. Rhett had to visit schools five times to find the right people to talk with, give himself the chance to talk with them, and actually reach them. And Rhett got to that point after reaching two former cheer coaches through two different modes of communication, and after having multiple conversations with one of them. The story was picked up by the Casper Star-Tribune after being in the Rocket-Miner. This sports enterprising may have cracked an assumption made in Logan, Utah, against the Football Bowl Subdivision program Utah State. That is that the fans weren’t heartily behind the team. Rhett researched attendance figures and talked with the USU registrar’s office and former athletic director Scott Barnes to reveal the possibility of lethargy towards the Aggies as they were one game away from a division championship. Rhett learned that revenues at Fishbowl jumped from $312,000 to $12 million in just seven years, with headcount ballooning from six to 80. With the third “Avengers” film to hit theaters, Rhett wanted to make sure to help the public know about details that were on the horizon. He also had to select a photo that was a good fit and format the story on the back end. Rhett wrote the story for The Inquisitr, a national publication. To get this feature of the former “James Bond” henchman and “Spy Kids” baddie, Rhett had to deal with a cranky public relations person. Rhett enjoyed doing this story for Patch, as part of helping the national outlet cover various areas of the United States. Rhett reached out to the founders of the group as part of starting my own beat about the grassroots Trump resistance in Utah. Thought Catalog took this story even though they publish other types of writing, like essays and confessionals. The piece saw a second national online pickup, by The Good Men Project. Rhett featured Lucas McGraw’s and volunteers’ by-the-bootstraps efforts to make this happen. A grassroots effort to make a dream reality had to get covered. The story was awarded by the Society of Professional Journalists. A female college student roiled a conservative community with opinion pieces in a newspaper that provided quite different perspectives on the dominant religion of the area. Rhett walked to her home one evening and broke bread with her to learn her story, besides interviewing her on another occasion. This story got second place for Online Feature Reporting for the Society of Professional Journalists, Region 9. Rhett secured exclusive quotes and information from Austin Buhler at him providing the best food in central Utah — at a hospital, Central Valley Medical Center. It was challenging to write about a house, but Rhett personally visited the home and took photos, and this feature was an editor’s pick. Rhett personally talked with Emerging Leaders Initiative Chair Don Willie for an article that was a story, but that Utah media wasn’t covering. Rhett wrote this for Patch, a national outlet. Rhett heard about Shireen Ghorbani’s candidacy for Congress on Facebook and looked up her information. Rhett did not know she was in TIME just days earlier. This recycling organization is going for absolutely nothing to be trashed, but used again — even if it will require more than the blue bins. City Weekly is the independent weekly for Utah. One of the most accomplished athletes in Utah State history also was lively on social media, so Rhett found it worth capturing that. Rhett thought that Danny Drew had an interesting story, and he entered the public forum by running for the U.S. Senate. Rhett visited the band room of a high school three times in one day to be able to report on Brian Redmond taking the Rock Springs High School band from among the worst in the state to back-to-back-to-back superior rankings. Rhett traveled to Green River High School and interviewed Avery Otto, taking the photos, to feature a Green River young woman who is now preparing for the 2020 Olympic trials while competing at the Div. I level. One of two people credited with the story of “Rogue One: A Star Wars Story” talked about that process, which yielded why “working for Lucasfilm is like working for the CIA.” Rhett sought him out at a fan convention in Salt Lake City. Once Rhett learned through reddit that Tom Taylor was running for the U.S. Congress, Rhett was interested in featuring Taylor because he represented someone in the wake of the election of Donald Trump who came from a field where people didn’t usually get politically involved, let alone run for Congress. The headline Rhett wrote also informs Taylor’s Twitter biography. Summary: USU professor John Carman had a meeting at the World Trade Center get re-scheduled just before the building collapsed. Rhett personally talked with him in his office about it. Summary: The first national online database of plant collections, located at USU. Rhett personally visited the herbarium on a holiday and talked with its curator for a few hours. Besides reporting on the Robert Mueller investigation, Rhett also had to select a photo that was a good fit and format the story on the back end. He wrote the story for The Inquisitr, a national publication. This was, of course, a major issue and needed as much coverage as possible. Rhett also had to select a photo that was a good fit and format the story on the back end. He wrote the story for The Inquisitr, a national publication. Besides being the author of this story, which reflects a lot of humanity, Rhett also had to select a photo that was a good fit and format the story on the back end. He wrote the story for The Inquisitr, a national publication. The behavior of the National Rifle Association in this public affair was notable, so Rhett wanted to report on it. He also had to select a photo that was a good fit and format the story on the back end. Rhett wrote the story for The Inquisitr, a national publication. This story showed how a team is using art to seek to address an issue that has not been touched. Rhett also had to select a photo that was a good fit and format the story on the back end. He wrote the story for The Inquisitr, a national publication. Utahns typically do not take things into their own hands, but rely on and trust leaders. So it was a surprise and major news in an authoritarian culture for ballot iniatives to come to pass in Utah, let alone effectuate different-than-normal behavior from the Utah legislature. So Rhett wanted to bring more attention to this public affair. He also had to select a photo that was a good fit and format the story on the back end. Rhett wrote the story for The Inquisitr, a national publication. I caught wind of the function in a library on the south end of the Salt Lake valley. Besides writing this story, which impacted Illinois seniors, who struggle to get around on their own, Rhett also had to select a photo for Patch, a national outlet, that was a good fit and format the story on the back end. Rhett made sure to not only attend the Fillmore City Council meeting where Paul Adams revealed this problem, which carried a federal penalty of 20 years in prison and up to a $100,000 fine. I also reached out to Adams for additional information and contacted engineer and executive stakeholders for comment. Rhett also had less than an hour to write the story but did so. Rhett made sure to be at this county commission meeting — and he also found out that while the state of Utah was claiming that the petition came from Utah Gov. Gary Herbert, it came from Kathleen Clarke, the director of the Utah Public Lands Policy Coordinating Office. Clarke even signed the letter to U.S. Department of Agriculture Secretary Sonny Perdue. Rhett was the only reporter to call the police and report this story after hearing it on the police scanner, a main reason he went seven hours overtime without overtime pay just this particular week. Rhett secured exclusive quotes from John Jackson, the police chief of Mapleton, Utah. This article came through spontaneity. As a Deseret News intern, Rhett decided to take initiative to write a story gathering commentary about former presidential candidate Mitt Romney’s faith after Fox News commentator Ainsley Earhardt said that it wasn’t Christian. The Pew Research Center’s Forum on Religion & Public Life in Washington, D.C., was impressed enough with this piece to feature it on its website. Rhett even waited on Sweetwater County School District No. 2 administration before writing this story. He reported nothing after Assistant Superintendent Jamie Christensen didn’t let him attend the first “instructional rounds” on the public calendar. The second time, however, made it clear that a story was necessary. The key was to let both sides talk, as should always be top priority. Bribery was the theme, unfortunately, of a municipal race in Utah in 2015. A city council decided to get involved in federal affairs and the fallout was relatively lively and passionate. Rhett made sure to talk with a handful of council members, which allowed for perspectives like that local government should focus on issues they must take care of, like water, sewer and fire affairs. Rhett made sure to capture the nuances of a press conference about a Utah State basketball player who collapsed on the court in practice following a heart attack. The story is believed to be the first in any medium to feature debate between the two camps seeking to win a rematch. Love would have needed votes from both conservatives and moderates to have replaced Jim Matheson in Washington, D.C., had Matheson not decided to retire. Rhett found this appearance to be a great reason to reach out to both her and the Matheson camps for reasons. Matheson was not reserved in his opinions. Love campaign manager Dave Hansen, a famous Utah political consultant, opted to blast one of Matheson’s approaches to constituent interfacing along with his response. Matheson edged Love in the 2012 election. Once Rhett learned that Sen. John Barrasso (R-Wyo.) hadn’t had a full-time field representative in Sweetwater County, Wyoming for at least six weeks, Rhett made sure to write about it and report on what he could learn upon putting in phone calls. A disclaimer: there is a paywall. This original reporting brought out sad and controversial occurrences regarding someone who has carved out a cultural niche. Rhett also had to select a photo that was a good fit and format the story on the back end. He wrote the story for The Inquisitr, a national publication. Rhett wrote this exclusive story after learning about a social media post about the water main break in Payson, Utah. The congresswoman was fundraising at a Disney World resort during congressional recess, when advocates were saying that she needed to talk with constituents especially in light of the behavior of the Trump administration. Rhett was the only reporter to hear the police scanner and report this story. Rhett was the first to report the story even though Salt Lake City media outlets and the U.S. News & World Report also did. He made multiple calls to the Utah County Sheriff’s Office to get it right and still broke it first. This occurred on the day of the National School Walkout, which said that Congress needed to act on gun possession. Rhett made sure to report on key items from Sweewater County School District No. 2 Superintendent Donna Little-Kaumo’s meeting with district employees. Click here for the story in the Rocket-Miner (there is a paywall), where it was originally published. The key was not just being at the meeting, but immersed in the meeting, getting the nuances of behavior by board members and how the emotional momentum shifted. Rhett made sure to capture that. The story was picked up by the Casper Star-Tribune. Click here for the story in the Rocket-Miner, where it was originally published (there is a paywall). The key was to be paying attention in part of a Sweetwater County School District No. 2 board of trustees meeting in Wyoming. Rhett had to pay keen attention to the Sweetwater County School District No. 2 (Wyoming) meeting, as deliberations about possibly closing Jackson Elementary School were held, but did, of course. Rhett went to the fire at 7 a.m. the day the fire broke out. Though a policeman told him there was nothing much to say, Rhett persisted doing down blocks to find Fire Chief Jim Miguel. But it was important to determine what happened to the restaurant next door, also. Rhett found a hostess who revealed the pinpoint location of the fire. This story had a breaking element to it, and that, as always, was enjoyable. Rhett also loves box-office stories and has enjoyed doing those types of articles. He also had to select a photo that was a good fit and format the story on the back end. He wrote the story for The Inquisitr, a national publication. Rhett reported on Carbon County School District No. 1 in Wyoming voting to get rid of its student medication chart. He had deeply reported on the policy, which begged the question whether school nurses just wanted to not worry about the charts — the story was about 70 percent longer. But Peter Baumann, an editor on the other side of the state, removed it. He also wrote a headline that didn’t make a ton of sense, and that is why there are three words within parenthesis. Rhett got an early jump on Green River, Wyo., changing its wastewater treatment plant by being particularly aware at a Green River city council meeting. Rhett wrote this article after being able to view the film in advance of its release. Rhett heard the police scanner and got to the crash in time, even though he was given unclear directions. Rhett was able to do this story because he was in a city council meeting. He also took the photo. Note: This story has a paywall. Two pillars of why we do what we do were issues at the same time during the Utah legislative session. Especially given that timing, it worked well to report on the issues together. Rhett is proud of the story, in bringing in multiple sources, which also happened to be the press. And, in featuring both what was reported and opined, with media outlets being stakeholders in this issue. He also had to select a photo that was a good fit and format the story on the back end. Rhett wrote the story for The Inquisitr, a national publication. Besides writing this story, which impacted Illinois residents who struggle to get around on their own, Rhett also had to select a photo for Patch, a national online publication, that was a good fit and format the story on the back end. Rhett voluntarily reported on this fire, even getting quotes from witnesses despite reporting it for free. Rhett made sure to track down high school students Samantha Hardin and Jesse Lauze, and Hardin’s mother Jennifer Petri, before they left a building where the Sweetwater County School District No. 2 board met. Hardin and Lauze said there that they should not have been cited for violating dress code for wearing sleeveless attire — and there wasn’t such a code. Rhett also noticed that the school district had photos on their website of students, including a male, in sleeveless shirts, so he made sure to screenshot those to use as photos. Those photos were removed the day the story ran. Click here for the story in the Rocket-Miner, where it was originally published (there is a paywall). Rhett reported this exclusive story, being the only reporter in the courtroom. Rhett was the only reporter to track a jail bookings database and report this story, besides making a phone call for more information. Of course, it was absolutely critical to cover the threat of a shooting at a high school. This one took thinking out of the box. Though felonies were not part of the equation, it was an important story to cover because of the bullying issue it implicated. Rhett wrote this exclusive story after tracking the booking in jail-booking records. Rhett was the only reporter to track this jail booking and do a story. Rhett was the only reporter to seek out court documentation and write this story. Rhett enjoyed breaking that the Utah County Major Crimes Task Force brought down a drug trafficking group. He enjoyed a report Lt. Dennis Harris, field director of the task force, gave exclusively to Rhett on how they busted the group. Even though the Rocket-Miner did not have a court beat, Rhett went to his hearing where the man in question sought a reduction to his bond. Rhett also went into the neighborhoods to find the home where he allegedly shot Danielle Martin, so the photo of the home is his. Rhett was the only reporter to track a jail bookings database and report this story. Rhett was the only reporter to track jail bookings and report this story. Rhett wrote this exclusive story after he and a CBS reporter were the only press in the courtroom to cover this hearing. I showed how Utah State University reached new enrollment marks by diving into numbers and records, an economic spiral, online education, more degree options, marketing, and regional campuses. To find assessments of the implications of the Utah-BYU football rivalry in 2016, when it returned after a two-year hiatus, Rhett had to get a bit creative in finding sources. He had to see if there was a network of sports historians — who could crowdsource to their members. Fortunately, both were available. One historian lived in the region of the conference BYU wanted to join, but attended Utah. Rhett previewed Utah State football’s 2013 season to start his third season of covering the Football Bowl Subdivision program as an undergraduate. Rhett enjoyed writing the narrative he had the opportunity to write, and it was an exciting time since the Aggies were coming off a season where they were two field goals from an undefeated season and looking forward to being led by a Heisman Trophy candidate. Besides thinking to do the feature, Rhett independently figured not just point, rebound and minutes statistics, but point, rebound, and minutes increase statistics from very particular game counts. Rhett enjoyed writing a commentary for Bleacher Report, a premier online publication, which turned to be spot-on. Having co-founded the student magazine Aggie BluePrint, Rhett was excited to be able to break something in a press conference with former Utah State athletic director Scott Barnes not designed for anything about the school’s affiliation with a bigger, better league than the one it was in. In this article, Rhett points out that Utah football hadn’t even trailed in six of its prior 12 games against BYU as of publication, let alone having won 10 of its prior 13 games against the Cougars. This is important because the rivalry between the Utes and Cougars has been considered competitive. Rhett made sure to have a strong narrative and, of course, talk with players for an NCAA season preview. I am fairly surprised that the Deseret News allowed this story, because he revealed something that would anger readers: that nine wins over ranked teams for LaVell Edwards were not actually in the college football top 25 after the season ended. (Edwards is revered in the state the News touts — “Deseret” is the name of the territory that became Utah when it was changed to a state.) Rhett also pointed out that Bronco Mendenhall, BYU’s coach at the time, was just 4-13 against ranked teams at the time of publication, and that his predecessor, Gary Crowton, went 0-6. Rhett well-weaved in a narrative and information exclusive to him while reporting on postseason honors from the Western Athletic Conference. It’s the best when athletes make predictions about what they are going to do the next game. Willie Davis of Utah State did just that, so Rhett had to report it. Rhett thought for a game preview to talk about a coach in Dave Baldwin who was facing a team of which he used to be a part. Baldwin was hired by a coach in Jim McElwain who helped Nick Saban lead Alabama to two NCAA football titles. Rhett pointed out in the advance that a win would give Utah State football its first 10-win season in school history. The reporting juices flowed in Rhett’s game story from a Pac-12 press box. To explain how well Kyler Fackrell, an emerging NFL player, was excelling, Rhett captured precise details from a Utah State football game that, even though on the road, he traveled to cover. Rhett thought it was creative to consider talking with players who were still on the Utah State football team who remember its last win over BYU football, its first in 11 contests. Rhett made sure to talk with players for this NCAA season wrap-up. Rhett revealed how different Utah football’s game outlooks were in 2013 from the past under their coach, Kyle Whittingham. Rhett pointed out that prior to that season the Utes went 24-6 in season-ending games, compared to 13-20 in their prior contests. Rhett wrote a good narrative about this NCAA postseason basketball play. Writing an advance about Utah State football, Rhett made sure to pay attention to what cornerback Will Davis was saying. In this preview of an NCAA postseason basketball championship, Rhett points out that Utah State basketball set a school record for points in a first half. Rhett points out that USU football was favored in 2013 for the first time ever against BYU. Rhett suggested that a prognostication on the 2013 Utah-USC football matchup may have been off by pointing out that Utah football lost by 26-plus points four times against USC football and was just 3-8 overall. Sure enough, it was. The Trojans were favored by just seven points over the Utes but won by 16. It’s no longer available, but here’s a summary: it’s not every day that you find a quarterback from a non-BCS program and a land-grant university on the official Heisman Trophy Watch List. When you do, it’s worth finding out how they got there. That was Rhett’s pursuit with Chuckie Keeton’s success at Utah State University. Not only was Keeton’s accomplishment a rarity; his road to that destination was less-traveled, with some unusual vehicles along the way. Published by MuckRack. Besides taking the photos, Rhett also checked with the Wyoming High School Activities Association to confirm that Laurie Ivie was still the only boys basketball coach in the state, and Rhett’s tracking of their season and research of past seasons made him realize that Ivie had wrought a mighty change to the Green River High School boys basketball program. Rhett wrote this op-ed, having an understanding of the state and culture that Utah Gov. Gary Herbert governed — knowing how to speak to the people in the culture. USA TODAY published it. Rhett wonders if USA TODAY appreciated that he spoke against the governor despite working for his campaign before Rhett became fully committed to journalism. Just months earlier, Kevin O’Connor, 13-year veteran as the Utah Jazz’s general manager, was replaced by Dennis Lindsey. In just a week-plus, Lindsey made several personnel moves that dramatically changed the face of the Jazz franchise, affirmatively calling for a new era after many successful seasons with all-stars Deron Williams and Carlos Boozer—let alone the legacy left by John Stockton and Karl Malone. The severe changes begged commentary—and a comparison of Lindsey to a certain Disney character. The piece was published on ESPN.com. Rhett explores what the film opens up for Disney’s other projects, particularly given that “Game of Thrones” writers David Benioff and D.B. Weiss are on board for a new series. Rhett shares this clip particularly because it further shows why Disney didn’t have a small reaction to “Solo” losing money. Rhett independently thought of all of these reasons, and this piece was published a year before “Avengers: Infinity War” was released. He also took note that the national publication The Cheat Sheet did a very similar piece just two months after mine. Rhett took time to find a Harvard-Harris poll showing that two-thirds of the public believes that mainstream media publishes “a lot of fake news” in order to support his claim. Rhett used March for Our Lives’ visit to Utah to comment on a relatively surprising development surrounding the organization that related directly to the state. Johnson made claims about George Lucas that did not seem to add up. Rhett wrote a column about an issue he figured was an epidemic given how antagonistic city council and school board members in Green River, Wyo. became after he reported on tough issues, as seen in many of these writing samples. Rhett wrote an entire story for the Obi-Wan Kenobi film after it was announced, showing his creativity in various forms of writing. Rhett brought attention to Lucasfilm getting rid of employees, pointing out just how many directors had been fired — not to mention a screenwriter and composer. He wrote this for Thought Catalog, a national publication. Rhett wanted to make this commentary after seeing parallels about how people treated both “Star Wars” and religion. Rhett wrote this op-ed in light of Utah Gov. Gary Herbert signing a bill that made the blood alcohol content level for a DUI in Utah the lowest of any state in America — a level shared by socialist countries — and Herbert’s predecessor had left the job early. It was worth reflecting arguments that were key for gender equality, as expressed in the documentary. “RBG” director Julie Cohen followed Rhett on Twitter after this piece was published. She remains a follower. Rhett points out numbers amassed over time to make this point. He also did the formatting and photo choice on the back end. Rhett wanted to point out something that has not been uncommon at least in the NBA, but seemed downright silly after Cleveland reached the NBA Finals. For nearly two-and-a-half years, Rhett visited organizations in Utah that seek to accommodate those leaving The Church of Jesus Christ of Latter-day Saints, besides reporting on his findings. Rhett considered the timing of the church’s call to women for a 10-day “social media fast” — it would have ended when most voters would have cast their ballot, given the popularity of vote-by-mail — before writing the piece. He also did the formatting and chose the photo on the back end. The independent film posits a question that is bold, so Rhett wanted to write about it. Rhett asks if there is a new norm to a favorite pastime. Rhett reported on my experience and based on my understanding. Click here for the commentary in ami/Extra Newsfeed. Rhett saw a Facebook comment from an Andrew Arnold that made Rhett think that he had a compelling story to tell. So he asked Arnold to write this piece, and Rhett formatted and edited it, and chose the photo. The dream was so vivid, Rhett definitely wanted to write about it. Rhett asks if a certain LDS church entity will cause the next mini-exodus from the LDS church. Click here for the piece in National Speak. The Holy Father’s remarks, recounted in the documentary, were startling, so Rhett wanted to write about it. The convergence of President Donald Trump rescinding national monuments, Sen. Orrin Hatch’s politics over the relationship of his tenure in office with running again, Mormon culture and more begged for a satire commentary like this one. Rhett wanted to use humor to comment on a film that nobody outside a particular audience may find interesting, and to make a social commentary on what would possibly be a refrain within Mormonism. Rhett’s Inquisitr profile (click here) includes Robert Mueller stories and more. Rhett’s profile Beehive Blunders/Beyond Tinsel/The Seer Stone/ami @ Medium (click here) includes a beat he developed of the Trump resistance in Utah. Rhett’s Good Men Project profile (click here) includes his exposes that a congresswoman used campaign funds for Disney World and more than writing for an average of more than weekly for a year and eight months now. Rhett’s HubPages profile (click here) features much film commentary. Rhett’s steemit profile (click here) features much cultural commentary.